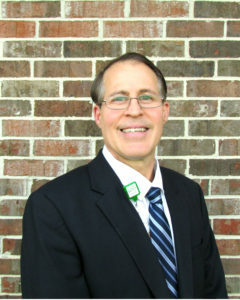 Lincoln Health System proudly announces Don Anderson as the new administrator for Lincoln and Donalson Care Centers. Originally from the New Orleans, LA area, Don Anderson graduated from Southeastern Louisiana University majoring in Cultural Resources Management. In 1991, Anderson received his first Administrator position at a Nursing Home Facility in Louisiana. Don has also owned and managed multiple small businesses throughout his career. “My first connection to Fayetteville, TN was back in the 1990’s when I traveled to the local stockyard with my parents when they would bring Beefalo from their farm in Flat Creek, TN. I always thought this was a beautiful part of the country and I am glad I am now able to call it home,” stated Anderson. For the last two years, Don has served as Assistant Administrator for Lincoln and Donalson Care Centers. In this role, he diligently worked to implement the Quality Improvement in Long Term Services and Supports initiative (QuiLTSS). QuiLTSS is an initiative set by the State of Tennessee with the purpose improving a patient’s care experience and promote a patient-centered care environment within long-term care facilities. “Administration and the Board of Directors for LHS are confident in Don’s abilities to lead the Care Centers and we look forward to seeing the plans he has for the facility to continually improve the patient experience and quality of care for the residents and our community,” said Candie Starr, LHS Chief Executive Officer. Lincoln and Donalson Care Centers have a combined 240 licensed beds and care for patients by providing short-term skilled nursing/rehabilitation, long-term care, and assisted living. The care centers are part of Lincoln Health System which has been part of the Lincoln County Community for 100 years.